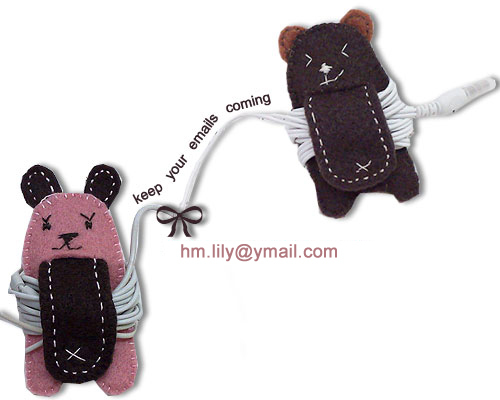 Thank you for your interest in contacting Lilyhandmade. I would be happy to receive your messages. Please feel free to contact me if you have any comments, questions, suggestions or general feedback about this site or my work. As I could be away on design projects, I cannot guarantee that you will get a reply immediately, but I do my best to reply to as many e-mails as possible. Please send email to hm.lily at ymail dot com. .^_^.